On December 17th, 1977, David Ackroyd became the first record buyer to receive a Gold Disc when he purchased the one-millionth copy of "Mull Of Kintyre" by Wings. In December of 1969, Mick Jagger was quoted saying "I don't really like singing very much, I enjoy playing the guitar more than I enjoy singing and I can't play the guitar either." Ross Bagdasarian (Davis Seville) named The Chipmunks after executives at Liberty records. Alvin was named for Al Bennett, president of the company, Simon was named after Bennett's partner, Si Waronker and Theodore was named for Ted Keep, a recording engineer. "Rockin' Around the Christmas Tree" was written by Johnny Marks and recorded by Brenda Lee in 1958. Although Decca released it in both that year and again in 1959, it did not catch on until Lee rose to stardom in 1960. That Christmas season, it reached #16 on the Billboard Pop chart and has since become a perennial holiday favourite. The song continues to sell well during the holiday season and rose to #5 on the Christmas chart in 1984. One of the strangest moments in Pop music history took place on September 11, 1977, when two stars from different generations, David Bowie and Bing Crosby, got together to tape "The Little Drummer Boy" and "Peace On Earth" for Bing's upcoming Christmas TV special. The pair rehearsed for an hour and finished their duet in only three takes, but Bing died a month later having never seen the video. In October, 2000, George Michael paid over $2 million for the piano that John Lennon used to write "Imagine". 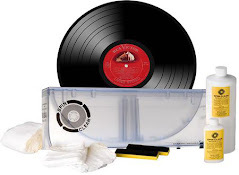 It is a simple upright model and not the white piano that appeared on the album cover. The much publicized Jerry Lee Lewis pistol-waving episode outside Graceland in 1976 is said to be a misunderstanding. Jerry and Elvis were long time friends and he had been invited to visit. A pistol on the dashboard of Jerry's car had been given to him earlier that evening as a present and when security guards at the Gracelands gates saw the pistol and asked Jerry if he'd come to shoot Elvis, Jerry just joked: "Sure I have." This led to the arrest and the subsequent press stories. After Sam Cooke turned down "Travelin' Man", Ricky Nelson recorded the song and had a Billboard chart topping single with it in 1961. Before assembling AC/DC, Malcolm Young played with the Velvet Underground- not THE Velvet Underground; Young's band mates were Australians who simply stole the name. In 1963, the brother and sister team of Nino Tempo and April Stevens took "Deep Purple" to Billboard's number one position. The same song had topped the charts for Larry McClinton in 1939 and would become a #14 hit for Donny and Marie Osmond in 1976. 1950s crooner Perry Como, who scored many hits including "Round and Round", "Don't Let The Stars Get In Your Eyes" and "Hot Diggity", was the seventh son of a seventh son. The Righteous Brothers' hit "Unchained Melody" was never intended to be a single. It was recorded as an album cut and later pressed on the "B" side of the 45 "Hung On You". When it was released, DJs flipped the disc over and "Unchained Melody" quickly rose to #4 in the US and #1 in the UK. Barry Manilow recorded his vocal and piano parts for "Mandy" in just one take. Elvis Presley was a devoted animal lover. He owned dogs, mules, horses, peacocks, chickens, a turkey and had a silly mynah bird that said, "Elvis! Go to hell!" We all know that Elvis loved his food. "I like it well-done," the legendary icon stated. "I ain't ordering a pet." While we are on the subject, it seems that rowdy Allman Brother Dickey Betts was out riding his motorcycle one day and he was hungry. So he stopped his machine, jumped a fence and killed a cow. As he was butchering the animal, a cop passed by and quickly arrested the bloody Brother. Swedish depressive post-rockers Lifelover have recently published the cover art to their soon-to-come new album, 'Sjukdom,' with an estimated release date of February 14th, 2011 through current label Prophecy Productions. The wild Finnish melodic black metal band Children of Bodom have released a lengthy statement on their Facebook page yesterday morning about their upcoming album 'Relentless Reckless Forever.' The statement contains both the new cover art and a link to a video trailer. 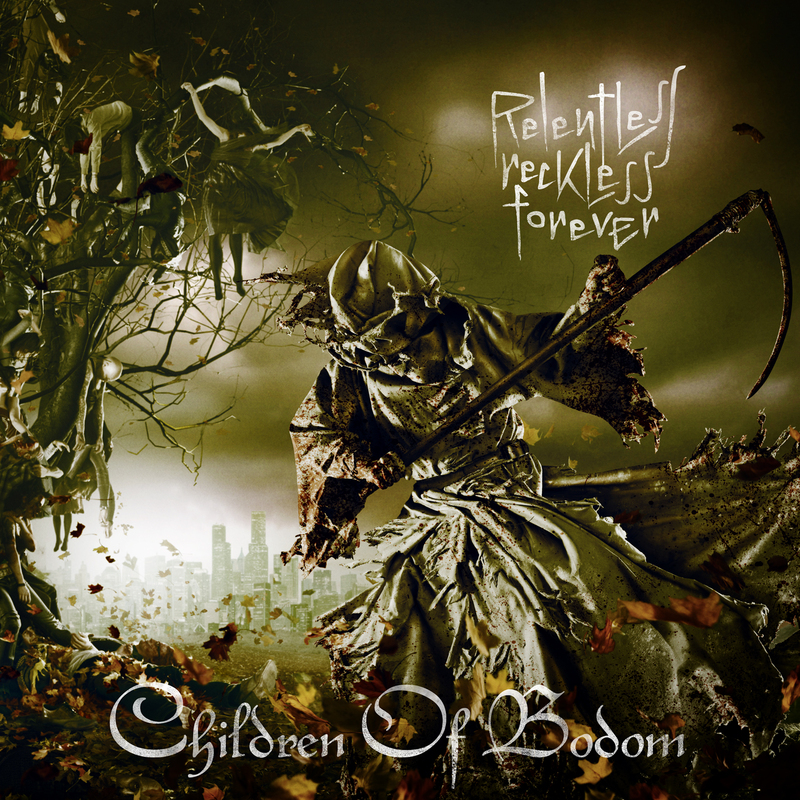 'Relentless Reckless Forever' is due to be released on March 8, 2011 on Universal Music. 8. Was It Worth It? "We are excited to announce that System will be playing some dates together in 2011. "We also want to thank you for your loyalty and support, not only to System Of A Down, but to all of our solo efforts as well. We have no master plan of sorts - we are playing these shows simply because we want to play together again as a band and for you, our amazing fans. We look forward to seeing all of you!" Prosthetic Records will release HOLY GRAIL's "Crisis In Utopia" and THE FUNERAL PYRE's "Vultures At Dawn" on vinyl for the first time on February 1, 2011. 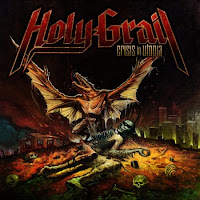 HOLY GRAIL's acclaimed debut album, produced by Danny Lohner (NINE INCH NAILS, A PERFECT CIRCLE), will be available on black wax, with a limited run of 100 clear pieces. The band, which has recently toured with AMON AMARTH and EXODUS, is currently on the road with BLIND GUARDIAN, and will be back on the road early in the new year alongside ELUVEITIE and 3 INCHES OF BLOOD. The vinyl release of THE FUNERAL PYRE's fourth album, hailed as "pure kvlt grimness" by Decibel, is limited to 500 copies. 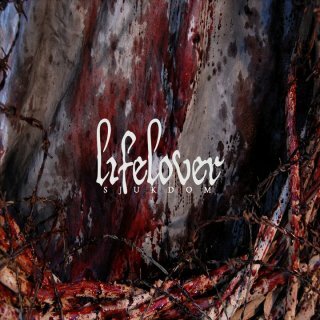 It will be pressed on 180-gram black vinyl and will include a gatefold poster featuring artwork by Justin Bartlett (TRAP THEM, WATAIN, GORGOROTH). The group kicks off a brief West Coast run tonight and will be announcing a full U.S. tour in the coming weeks. The legendary singer appeared on the Late Night With Jimmy Fallon on Thursday (November 9) performing 'Here Today' for Lennon. 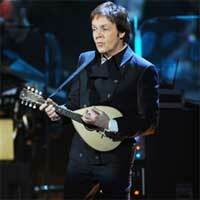 ''This is like a song that's a conversation we never had," McCartney said beforehand. He added: "I always say to people, 'If you love someone, tell them now,' because there may come a point when it's too late and you think 'I wish you said that.'" Millions of Beatles fans around the world marked the 30th anniversary of John Lennon's death on Wednesday (November 8). 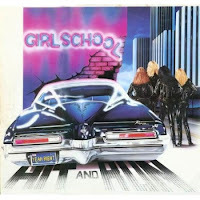 Veteran British female hard rockers GIRLSCHOOL are currently in the studio re-recording their classic 1981 album 'Hit And Run.' 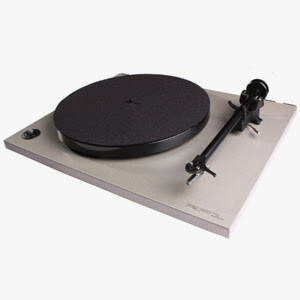 The new version of the LP will be released in 2011 to celebrate the album's 30th anniversary. 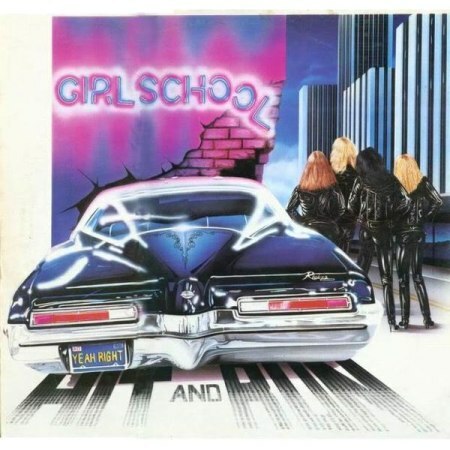 'Hit And Run' was originally made available in March 1981, followed a short time later by a single featuring the title track. Both releases were very successful in the U.K., with the album reaching position No. 5 and the single No. 32 on their respective charts. The LP also charted in New Zealand and in Canada, where it went gold. 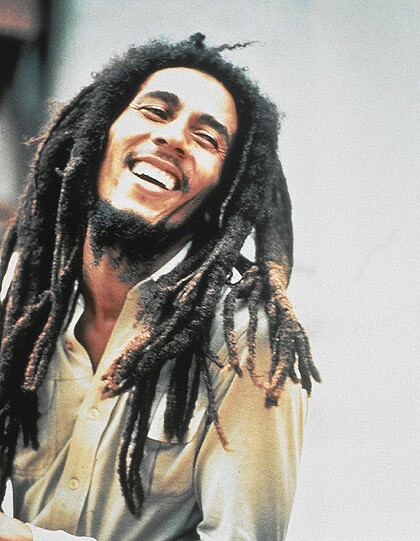 New York, Dec. 10, 2010 //PRNewswire/ --Recorded 30 years ago while Marley was touring in support of his album Uprising, Live Forever is Bob Marley's last recorded concert. This never before released audio collection offers an incredible snapshot of one of music's most influential performers. Bob Marley & The Wailers – Live Forever: The Stanley Theatre, Pittsburgh, PA, September 23, 1980 (UMe/Tuff Gong International) is a 2CD/3LP/digital collection that features many of Bob's most cherished songs, and is available for the first time on February 1, 2011. This unforgettable concert contains unique performances of "No Woman No Cry," "Jammin'," and "Is This Love," to name a few, and depicts a musical innovator and inspiration to people of many cultures and generations. This spectacular audio documentary Live Forever, also immortalizes the last song Marley ever performed live in concert: "Get Up Stand Up," his rally cry for equality. "Bob's music has always conveyed a message of hope, unity and love. It has brought countless people together as it did that night 30 years ago in Pittsburgh. To hear that music today and to be able to share it with a new generation shows that Bob is as relevant today as he was 30 years ago," says Rita Marley. The momentous occasion captured on Live Forever is now available on 2CD/3LP/digital, for the benefit of all who missed their first opportunity to attend that magical evening. Marley's influence on today's musical landscape and his continuous worldwide appeal is still evident today. And his legacy and message carry on. Uprising's most notable song, "Redemption Song," is featured on this extraordinary release and has been covered by everyone from Rihanna and the Dave Matthews Band to Stevie Wonder and Chris Cornell. His hits compilation, Legend, has also spent an astonishing 1,000 weeks on the Billboard catalog chart sitting at #1 for 110 of those weeks. The celebration of Marley's work continues as Legend gets the video game treatment and is available for download as part of the best-selling Rock Band series. The Marley family also plans to commemorate Bob Marley and his legacy with other celebratory events throughout the year in 2011. Born today in 1926, Big Mama Thornton, singer, songwriter. Janis Joplin covered her song "Ball And Chain," and she had the 1953 version of "Hound Dog" before Elvis Presley. She died in 1984. Born on this day in 1916, Perez Prado, (1955 US & UK No.1 single "Cherry Pink & Apple Blossom White"). He died on September 14, 1989. J. Frank Wilson (December 11, 1941 – October 4, 1991) was the lead vocalist for the approprietly named group J. Frank Wilson and the Cavaliers. The Cavaliers' first chart hit was "Last Kiss," a song written by Wayne Cochran, who had based the song on a car accident in Barnesville, Georgia, near where he lived. The song, while only garnering minor success for Wayne Cochran & The C.C. Riders, found major success for the Cavaliers. "Last Kiss" became a hit in June of 1964, it reached the Top 10 in October of that year, eventually reaching #2 on the Billboard Hot 100. It sold over one million copies, and was awarded a gold disc. "Last Kiss" was subsequently covered successfully by Wednesday and Pearl Jam. In 1957, 22 year old Jerry Lee Lewis secretly married his 13 year-old second cousin, Myra Gale Brown, while still married to Jane Mitcham. The Killer had first married when he was 16 to Dorothy Barton, the daughter of a local preacher. Mitcham became his second wife in a shotgun ceremony and before he had divorced the previous Mrs. Lewis. The marriage to Myra would last until 1970 and at last count, Jerry Lee has been married six times. The Coasters record "Charlie Brown" in 1958, which would go on to reach number 2 in the US early in 1959. Aretha Franklin made her New York debut at the Village Vanguard in 1960. Motown Records achieved their first number one song in 1961 when The Marvelettes' "Please Mr. Postman" reached the top. The session musicians on the track included 22 year old Marvin Gaye on drums. The song also gave the Carpenters a US #1 and UK #2 single in 1975. In 1961, Elvis Presley started a 20 week run at the top of the Billboard album chart with "Blue Hawaii," his seventh US #1 album. In 1964, soul singer Sam Cooke was shot and killed in a Los Angeles motel. According to court testimony, Cooke picked up a 22 year old woman named Elisa Boyer at a party. He promised her a ride home but they ended up at a motel. Boyer claims Cooke forced her into the motel room and began ripping her clothes off. She managed to escape while he was in the bathroom. While she called police from a phone booth, Cooke began pounding on the office door of the motel's manager, Bertha Franklin. He demanded to know where Campbell was and allegedly broke the door open. Cooke reportedly attacked Franklin, who then shot him three times. By the time the police arrived, Sam Cooke was dead. A jury would later return a verdict of justifiable homicide. Cooke was 33 years old. In 1965, the Beatles, on their last tour of Britain, played two shows at the Astoria Cinema in Finsbury Park, London. In 1967, a London Appeals Court commuted Brian Jones' nine-month prison stay for possession of cannabis after hearing testimony from three psychiatrists that Jones is "an extremely frightened young man" and could not stand nine months behind bars. He was given 3 years probation and a $1,500 fine. Filming began for the Rolling Stones flick 'Rock & Roll Circus, in 1968. As well as clowns and acrobats, John & Yoko, The Who, Eric Clapton and Jethro Tull all took part. The film was eventually released in 1996. Ringo Starr's movie "The Magic Christian" premiered in London in 1970. James Brown 32nd album, "Revolution of the Mind," was released in 1971. Carly Simon's "Anticipation" was released in 1971. James Brown was arrested after a show in Knoxville, TN in 1972, and charged with "disorderly conduct" after being accused of trying to incite a riot. The charges were dropped when Brown threatened to sue for $1 million. Also in 1972, Genesis played their first show in the US at Brandeis University in Waltham, MA. Bob Seger released his album "Night Moves" in 1976. KISS guitarist Ace Frehley was nearly electrocuted during a concert in Florida in 1976. He had touched a short-circuited light. He was carried from the stage but returned 10 minutes later to continue and finish the show. Singer, TV actress and dancer Toni Basil went to #1 on the US singles chart in 1982 with "Mickey," making her a US one hit wonder. The Jam played their last ever gig as a band in 1982 when they appeared in Brighton, England. The single "Superbowl Shuffle" by Chicago Bears Shufflin' Crew was released in 1985. In 1988, Don Henley, Tom Petty, Graham Nash and Bonnie put on a benefit show at The Wiltern Theatre to pay tribute to Roy Orbison. In 1989, the Recording Industry Association of America certified four Led Zeppelin albums as multi-platinum: ‘Presence’ (2 million), ‘Led Zeppelin’ (4 million), ‘Physical Graffiti’ (4 million) and ‘In Through The Out Door’ (5 million). Janet Jackson started a two week run at #1 on the US singles chart in 1993 with "Again," her 7th US #1 hit. Jewel, Sinead O'Connor and Emmylou Harris performed the Beatles' "In My Life" together at the 1997 Nobel Peace Prize concert in Oslo in 1997. During a gig in Tuscon, Arizona in 1998, a bottle thrown from the audience hit Black Crowes singer Chris Robinson. A security guard was then stabbed trying to eject a man from the crowd. Paul McCartney performed “Let It Be” as part of the 100th anniversary of the Nobel Peace Prize celebrations in Oslo, Norway in 2001. In 2001, Gene Simmons (KISS) did an interview with Matt Lauer on NBC's "Today" to promote his book "Kiss and Make-Up." The book was released for sale on December 4, 2001. Also in 2001, David Soul wins a $70,000 judgment in a lawsuit against Matthew Wright, a London theatre critic who criticized Soul's stage performance without even seeing it. Wright's column made reference to the Monday performance, when in fact, the play did not run on Mondays. Soul hit the music charts in the 70s with the single "Don't Give Up on Us". What was left of the original Napster's computers, laptops and servers were auctioned off in San Francisco in 2002, as the online file sharing company cleaned out its remaining physical assets. A federal judge ordered Napster offline until it could comply with an order to halt the unauthorized trade of copyright music. The Who's frontman Roger Daltrey battled through throat problems brought on by bronchitis at the final show of the band's North American tour in 2006. "It doesn't (expletive) matter," the singer tells the Columbus, OH, crowd. "It's Rock & Roll, right?" That's the spirit! A keyboard signed by Peter Gabriel, Pink Floyd's David Gilmour, U2's Bono, David Bowie and ex-Led Zeppelin bassist John Paul Jones was auctioned in New York in 2006 to benefit the Witness human-rights organization co-founded by Gabriel. Rolling Stones guitarist Keith Richards issued a digital single (via iTunes) in 2007 featuring two rare cover songs – his ‘76 rendition of Chuck Berry’s, "Run Rudolph Run" and an ‘03 version of "Pressure Drop," which was originally recorded by Toots and the Maytals. Bon Jovi’s Lost Highway tour tops Billboard's Boxscore in 2008 (an annual list of the highest-grossing tours). The trek earned $210.6 million. Bruce Springsteen and the E Street Band land at #2 ($205 million). 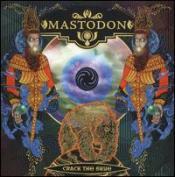 Time magazine ranks Mastodon's "Crack The Skye" as the third best album of 2009. The Progressive Metal set is the last of four in a cycle that focuses on the concept of Earth's elements. "Nods to European Folk, Free Jazz and Prog Rock . . . the ambition and tenacity of Mastodon's music makes "Crack The Skye" sonically unforgettable," writes Time. Brad Paisley's "American Saturday Night" and Dirty Projectors' "Bitte Orca," are #1 and #2, respectively. Trudy Green, former manager of Def Leppard, sued the band in 2009 over unpaid commissions. Green seeks at least $700,000 in damages. While that legal matter is just beginning, another reaches a conclusion... Marilyn Manson settles a $20 million lawsuit filed against him by former bandmate Stephen Bier. The keyboardist, also known as Pogo/Madonna Wayne Gacy, sued Manson for breach of contract, claiming he was deprived of his share of the band's earnings due to Manson’s questionable acquisitions. The suit is settled for $175,000. "After being dismissed from the band, Bier could have focused on resurrecting or attempting to pursue a music career," says Manson's lawyer. "Instead, he devoted the last several years to complaining about Manson's alleged spending habits and extravagant behavior to anyone who would listen."